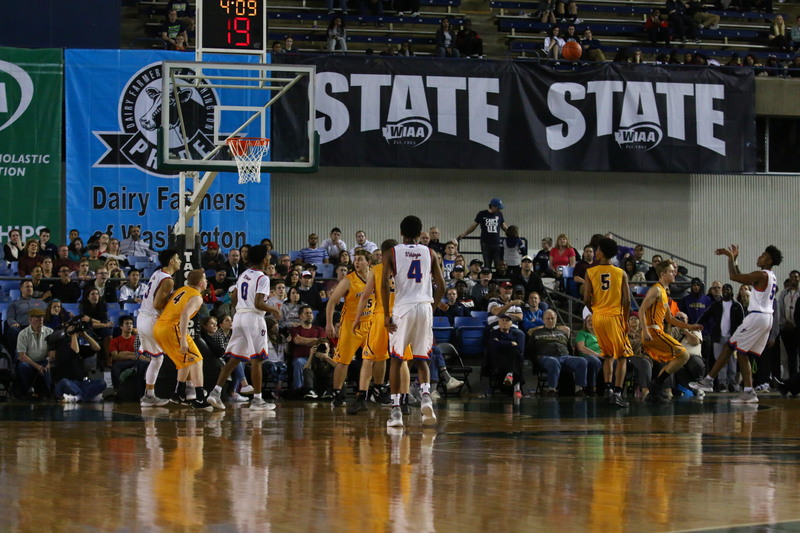 RENTON, Wash. – The WIAA announced, Monday, that the Executive Board voted to implement a change in format to the Boys and Girls State Basketball Tournament . The changes to the State Basketball Tournament will increase the number of teams at each Championship site from eight to 12 for each classification. With the expansion to 12 teams, approximately 500 more students will be able to experience competing at the final site of a WIAA State Basketball Championship. The updated format will maintain regional games for round one, which have proven to be a great attraction for local fans. Final tournament sites will remain the same with the 1B and 2B tournament at the Spokane Arena, the 1A and 2A tournament at the Yakima Valley SunDome and the 3A and 4A tournament at the Tacoma Dome. In addition to the format change, the WIAA will implement a Rating Percentage Index (RPI) system to seed the 16 teams that qualify for the first round of the tournament at regional sites. The State Basketball Format Committee will continue to refine the details of the RPI system, which will not be used in the qualification to regional sites, only as a seeding tool after the qualifiers are in place. The WIAA districts will continue to control their respective qualifying tournaments to determine the 16 teams for each classification. Both the new format and RPI system will go into effect for the upcoming 2016-17 season. Sixteen teams per classification will play at regional sites on Friday or Saturday of week one. Four games involving the top eight seeds based on RPI rankings will be played with the winner advancing to the second round at the Championship site with a bye while the losing team still advances to the first round at the Championship site. The other four games involving seed Nos. 9-16 will be loser-out contests. Winners of those games will play the losers of the four games involving seed Nos. 1-8. Round 1 games of week two (Wednesday) will be single elimination and the tournament will continue with an eight-team modified double elimination format in rounds 2-4 (Thursday-Saturday) of week two. Six trophies will be awarded per gender per classification. A bracket example can be found on WIAA.com. The format was voted upon by the WIAA Executive Board after gathering feedback from administrators and coaches around the state via an online survey, and from the community. The format selected was the most popular among survey participants, and 71% of participants were in favor of using an RPI to seed tournament teams.